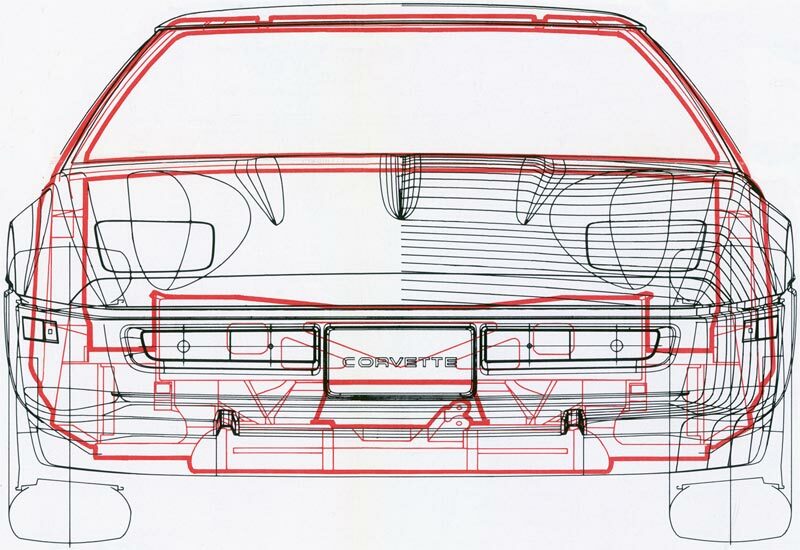 1984 Corvette Body and Uniframe General Arrangement drawing from GM. 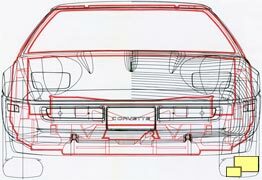 Most people, although they know that the Corvette body was made of Glass Reinforced Plastic (Fiberglass), are not aware of the considerable amount of steel (and aluminum) that made up the Corvette chassis, which is illustrated here in red. 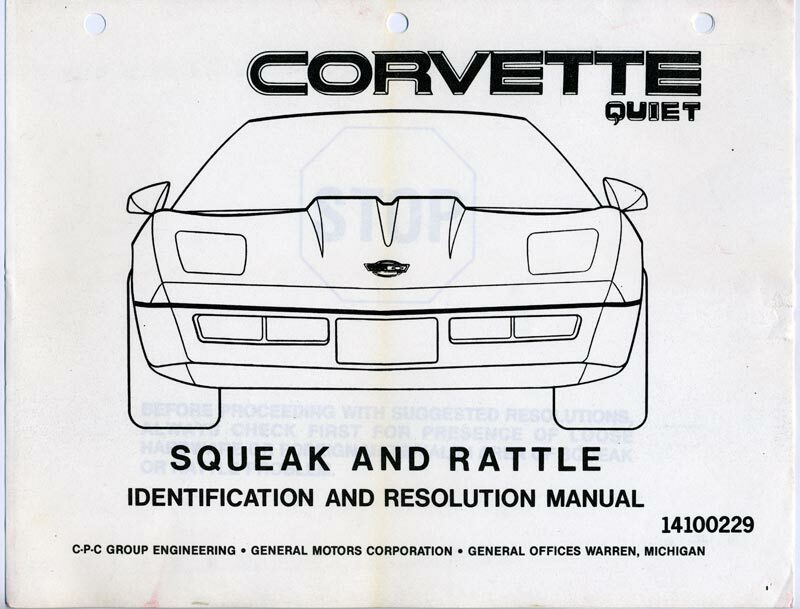 Right: The problem was severe enough that GM issued a 133 page "Squeak and Rattle Identification and Resolution Manual" to aid troubleshooting. 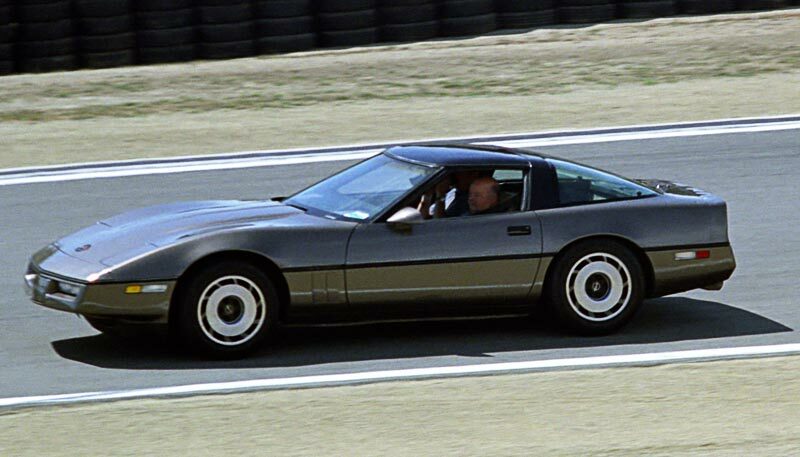 Owners at the time reported that while there were many teething issues with the first C4 Corvettes, GM went to great lengths to resolve the problems. One of the problems was with the Z51 suspension and the fact that many who ordered it did not know what they were getting in to. 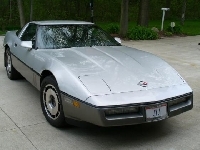 Despite its high price, nearly half of the 1984 production was Z51 equipped. Although it was a good idea for racetracks (which are typically billiard-table smooth) it had no place in the real world of potholes and speed bumps. One of the ways handling is measured is known as "g force". "G" in this case is short for gravity. 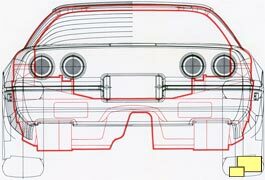 It is measured by driving the car around a 100 or 200 foot diameter circle (called a skidpad) and measuring the maximum lateral force it can generate without going out of control. 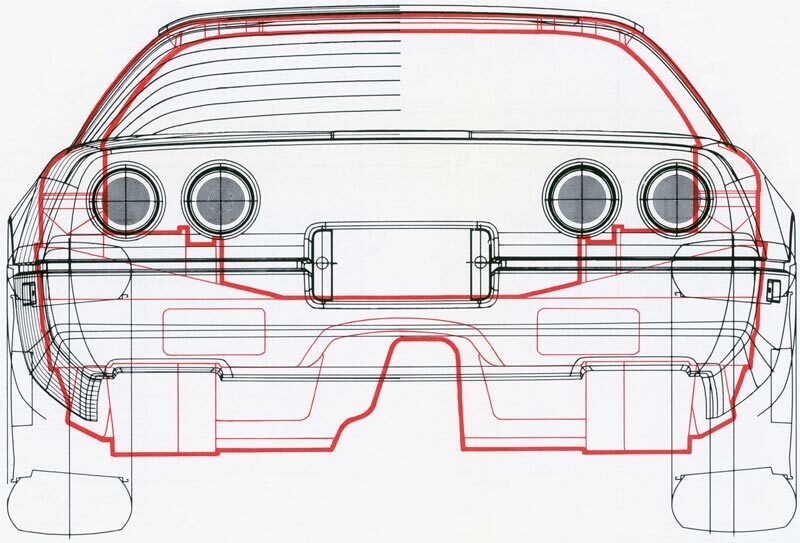 Most standard issue passenger cars will measure about .70g. 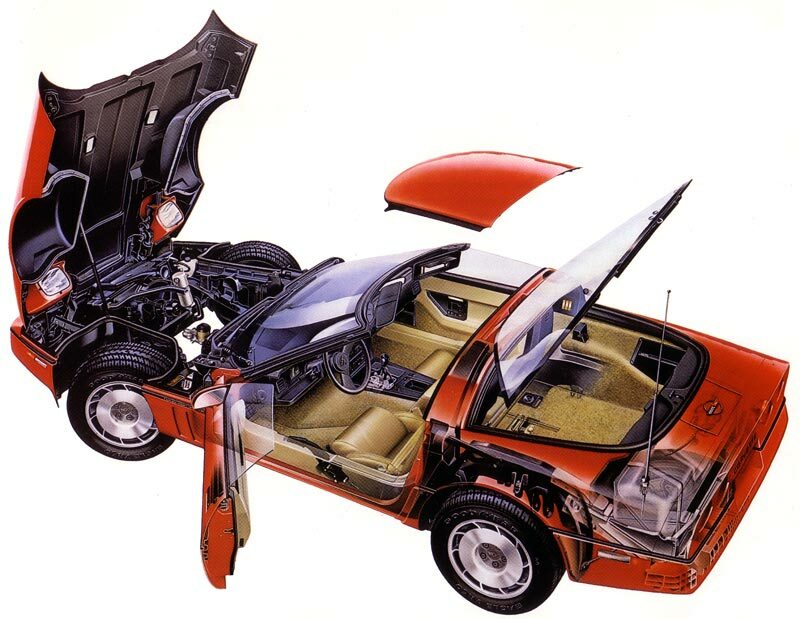 In 1984, the best handling performance cars would generate approximately .85g. 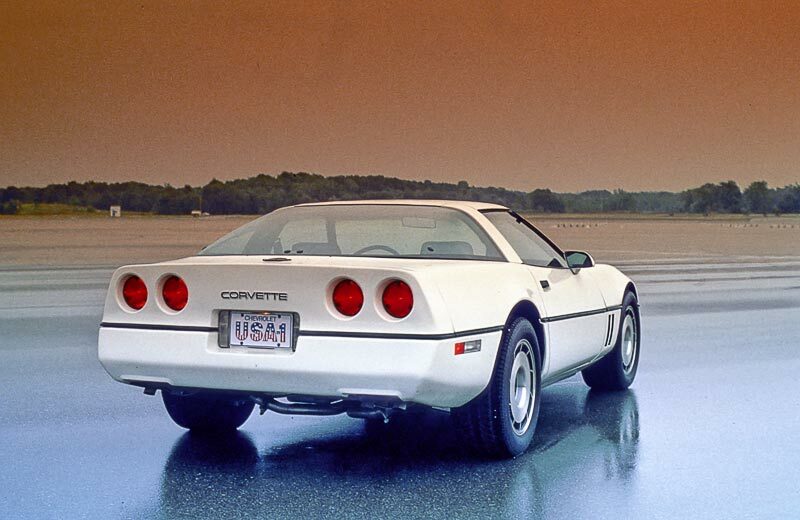 When tested by the magazines, the C4 (with the Z51 performance suspension) generated around .90g, a very respectable figure. 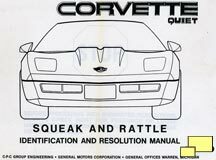 Using special suspension settings not advisable for everyday use, Corvette engineers were able to get an amazing (for 1984) 1.01g!